Coming from Ashdene’s Birds Of Australia collection – inspired by some of our country’s most iconic feathered friends – the Ashdene Birds Of Australia Rainbow Lorkieet Can Mug is pretty hard to resist. 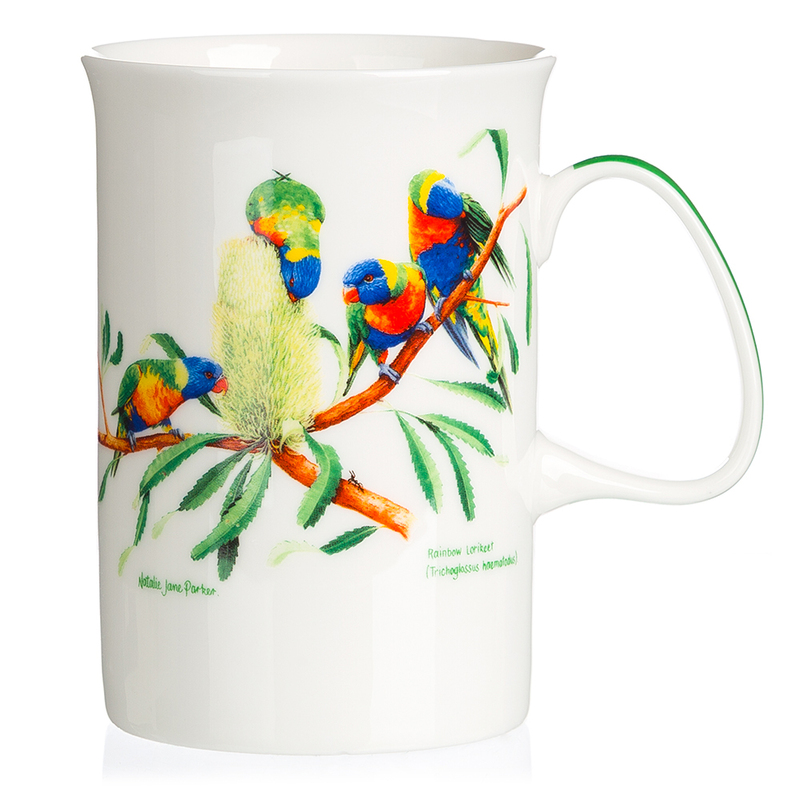 With artwork from famed wildlife artist Natalie Jane Parker, this mug features an illustration inspired by one of Australia’s most stunning birds – the rainbow lorikeet. Made from fine bone china, you can feel assured that this mug is high quality. Rainbow Lorikeet illustration by celebrated wildlife artist Natalie Jane Parker.